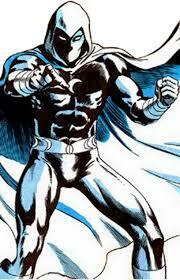 Moon Knight first appeared in Werewolf by Night #32 (Aug 1975) and was the enemy of Jack Russell (Werewolf). 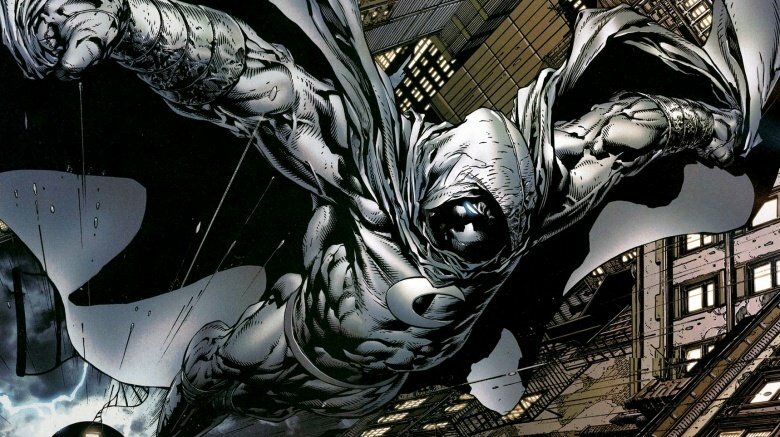 Saved by the Egyptian God Khonshu from Death, Marc Spector (aka Moon Knight) pledged his allegiance for a second chance at life…..
Marc Spector was born in Chicago, Illinois and was the son of a Jewish-American Rabbi. When Marc became and adult, he was first a heavy weight boxer then later a US Marine. He later left the United States military to become a mercenary. 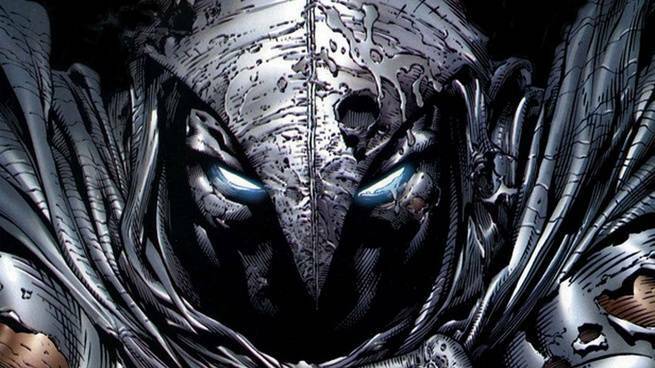 It was during his time as a mercenary that his group found an ancient temple where artifacts and statutes dedicated to the Egyptian moon god Khonshu were buried. His team leader Raoul Bushman kills the archaeological leader Dr. Peter Alraune. In response to the murder, Spector battles Bushman and is fatally wounded. Raoul leaves Marc to die at the dig site. Marc would later be rescued by Egyptians who worship the ancient gods. 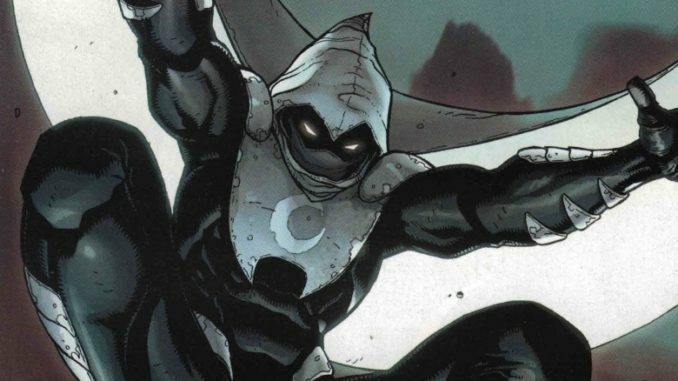 He dies in front of the statute of Khonshu who appears to him in a vision offering Spector a second chance at life if he will become Khonshu’s avatar on earth. Agreeing to the deal, Khonshu saves his life. 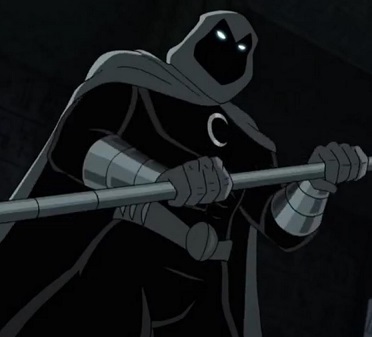 Did you know in the character’s first appearance he was supplied his uniform and weapons by an organization known as the committee and not the Egyptian God Khonshu? His job as assigned by the committe was to hunt down Jack Russell aka the Werewolf.